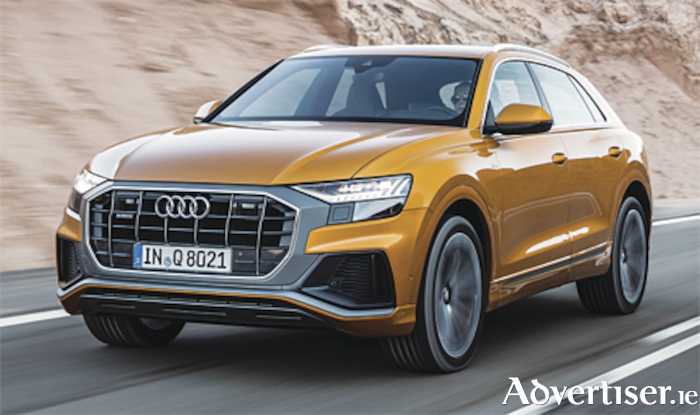 The new Audi Q8 crossover goes on sale here from late this month (August ), with an on the road price of €103,050 for the 3.0TDI (286HP ). Audi claims it combines the best of both worlds - a four-door luxury coupe with the practical versatility of a large SUV. Audi says that it is fully equipped and comprehensively connected, while the German carmaker claims that it is also tough enough for off-road duty. The Audi Q8 will feature S Line as standard.